Fight Evil with Evil... that's the premise behind Solomon Kane, a modern take on those classic "old school" Sword and Sorcery movies. So, if you enjoyed films like Conan the Barbarian or Lord of the Rings, than Michael Bassett's (Writer/Director) Solomon Kane will be right up your alley. It worked for me! Based on the creation by Robert E. Howard (Creator of Conan), James Purefoy brings Howard's creation to life, thanks to the exciting and sometimes predictable writing of Bassett. Solomon Kane is also a Dark Horse comic book character and even though I enjoyed the writings of Howard, Solomon Kane is a relatively obscure Howard creation. But once I watched the movie, I was caught, hook, line and sinker. This was one interesting character. Set in 16th Century, Solomon Kane commences the story as a villain, however after a deadly encounter with a creature of Satan, Kane is forced to renounce his evil ways and lives amongst a religious order. With his soul already claimed by Satan, Kane hopes to discover redemption before he dies but unfortunately he is ordered to leave the monastery due to a vision of one of the monks. As he walks in the world of man, he once again needs to unleash his darker side in order to save England from an evil that threatens the country. This darkness is like the black plague but unlike this disease of the body, the darkness is actually a demonic curse that has links to his family, thanks to the sorcerer Malachi. Through some careful flashbacks, we learn that Solomon turned his back on his father (Max Von Sydow) and accidentally killed his brother through an altercation. These are all key plots to the story. As he journeys through England, keeping his bloodlust hidden, he meets a family whom teach him more humility and guidance of the Lord. Fate however once again proves a guiding force for Solomon as this family is attacked by the demonic curse and their daughter Meredith (Rachel Hurd-Wood) is taken. Forced to take up arms again, Solomon is bound for hell if he kills again and unleashes his fury in order to save the girl and that of England itself. 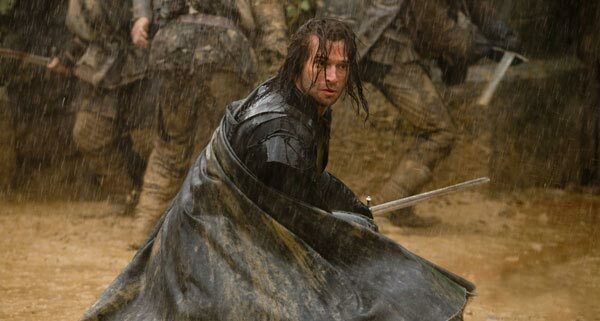 The story may be clichéd and over the top at times but it contains some brilliant acting by Purefoy as Solomon Kane. Add in Pete Postlethwaite, Rachel Hurd-Wood, Alice Krige, Jason Fleming and Mackenzie Crook, the characters are real and relatable. Then you have the action scenes... awesome. With so many impressive scenes in the movie, it's hard to pick a favourite but when Solomon shoots two guns at two riders or when he throws his sword at a witch, it's actually quite thrilling to watch and sets the scene rather well. The special effects of Solomon Kane are a little dodgy but for the most part, they suit this genre perfectly. With a well written story, great acting and action to die for, Solomon Kane comes together perfectly, especially on Blu-ray. 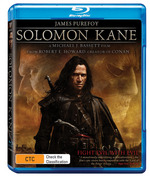 On Blu-ray, Solomon Kane supports 16:9 widescreen with deep blacks, sharp images and vibrant colours. I saw no artifacting whatsoever. Match that with DTS-HD 5.1 and this is a true cinematic experience from start to finish. There's also a bevy of special features from an introduction by Director/Writer Michael J. Bassett, a making of featurette, deleted scenes and much much more. For a rather unknown film, they have added some decent special features and more importantly, they were quite enjoyable. If you enjoy the sword and sorcery genre like me, than Solomon Kane is definitely for you! Mindless fun!